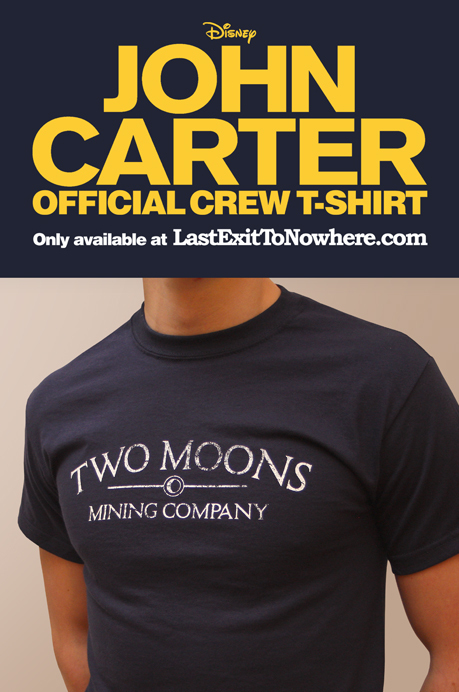 As we’ve mentioned in earlier posts, Andrew Stanton approached us a number of years ago to produce this T-shirt for the crew working on the science fiction epic John Carter. Today celebrates the film’s official release and we have been exclusively allowed to make them available to you for a limited period of time. Don’t miss out on owning this unique item of cinematic history and make sure you get to see the film while it’s on the big screen, it’s a great experience.